Tony Martell, Founder and Chairman of the TJ Martell Foundation for Leukemia, Cancer and AIDS Research, is proud to announce the honorees for the 36th Annual Awards Gala, which will take place on Thursday, November 3rd at the Marriott Marquis in Times Square. Golf legend and philanthropist Arnold Palmer will receive the Lifetime Philanthropic Award. 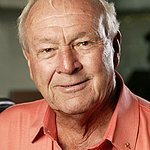 For nearly a half century, Mr. Palmer has been one of the best-known sportsmen and businessmen in the world. In just over two decades, the Arnold Palmer Hospital for Children has risen from a community hospital serving Central Florida to an internationally-known health care institution, now ranked as one of the country’s “Best Children’s Hospitals” by U.S. News & World Report. Thanks in part to Martell support, these clinicians are increasingly joining forces with researchers around the country and in Orlando to perform research and develop innovative cancer treatments and protocols. Actor and comedian Drew Carey will receive the Chairman’s Award. He is the host of “The Price is Right” on CBS and has hosted, produced and acted in many other shows in his career, such as “The Drew Carey Show” and “Whose Line Is It Anyway,” the success of which led to the creation of “Drew Carey’s Improv All-Stars,” an improv group that performs in showrooms across the country. A former U.S. Marine, Carey is very supportive of several charities such as the USO, Livestrong, Save the Children, Children Affected by AIDS Foundation and Children International. Bea Perez will receive the Humanitarian of the Year Award. Bea is Chief Sustainability Officer at The Coca-Cola Company. She leads a new global office focused on sustainability established July 1, 2011 with key areas of focus that include water stewardship, sustainable packaging, climate protection, and the commitment to the well-being of communities. Bea was formerly the Chief Marketing Officer of Coca-Cola North America. She is chair of the Grammy Foundation and sits on the boards of Children’s Healthcare of Atlanta Foundation, The Victory Junction Gang Camps founded by Kyle and Pattie Petty, and HSBC North America Holdings Inc.
Scott Borchetta will receive the Spirit of Excellence Award. Mr. Borchetta is the President/CEO of the Big Machine Label Group, which includes Big Machine Records, The Valory Music Company and Republic Nashville. Founded by Borchetta in 1995, Big Machine Records was named Billboard’s #1 Top Country Album Imprint (2009), establishing the label as the highest-selling record label group on Music Row as well as helping to define its position as the most successful independently-owned start-up label operation in Nashville’s history.